Absolutely thrilled to have brought a new adaptation of such an iconic movie musical (winner of 6 Academy Awards, including Best Picture, and the Golden Globe for Best Picture) to the Broadway stage for the first time! Direct from a sold-out run in Paris at the Theatre du Chatelet, An American in Paris opened on Broadway at The Palace Theatre on April 12th, 2015, was nominated for 12 Tony Awards (winner of 4), and won more awards than any other musical in the 2015-2016 season (including The Drama League Award for Best Musical). The Wall Street Journal called it, "A masterpiece!" 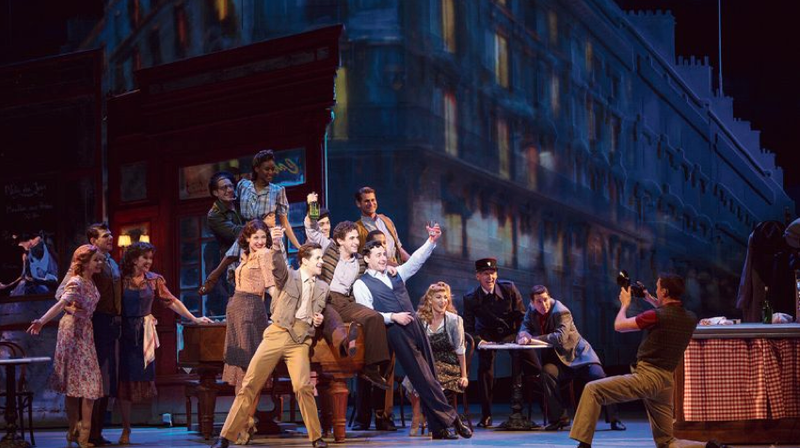 An American in Paris is currently touring the United States, and has been nominated for The Olivier Award for Best Musical. Plans for a production in Japan are currently underway.